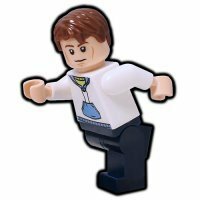 Hey everyone, the long awaited LEGO Collectable Minifigures Series contest challenge has started. Anyone still remember this building contest? Just to recap, the Eurobricks LEGO Collectable Minifigures Contest has come a very very long way since we started our very first LEGO Collectable Minifigures Series 1 Town Building Contest, continuing with the LEGO Collectable Minifigures Series 2 Building Contest, following up with the LEGO Collectable Minifigures Series 3 Building Contest, LEGO Collectable Minifigures Series 4 Building Contest, LEGO Collectable Minifigures Series 5 Building Contest, LEGO Collectable Minifigures Series 6 Building Contest and LEGO Collectable Minifigures Series 7 to 9 Building Contest. Eurobricks is proud to present for the eighth time of this brand new traditional challenging building contest with new combination from February 2016 to March 2016. So, come on everyone and gather your bricks and start building your contest entries! We are opening two major Building Categories for our Eurobricks Community. It's much challenging, interesting and exciting than before. More importantly, we want to see your imagination guide your building inspiration. Build an 8x8 vignette from any theme where you could display any of the 16 Collectable Minifigures from Series 15. It can be Town, Medieval, Wild West, Fantasy or even Space. As long you are able to relate the chosen theme and selected minifigure to your audience, then you are on the right track. Build an 8x8 vignette from any theme where you could display any of the recent 16 Collectable Minifigures from Series 1 to 14 including LEGO Movie, Simpsons Series 1 and 2, LEGO Team GB . It can be Town, Medieval, Wild West, Fantasy or even Space. As long you are able to relate the chosen theme and selected minifigure to your audience, then you are on the right track. Build a vignette that measures 8 studs by 8 studs. (No height limit.). A reasonable overhang is allowed to accommodate tree limbs or minifigures accessories, but may not exceed more than 2 studs outside the base. You may use the same type of minifigure in both categories. This is a building contest. Be creative. 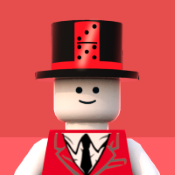 Any themes are allowed as long you are able to relate the vignette for the minifigure which you are building for. IMPORTANT RULE FOR CATEGORY Mega A - No Series 15 minifigures are required for Category Mega A. You don't need to own the figure to create a home for it, and it will not improve your chances if you do. You may not include the official minifigure or it's new accessories/parts from Series 15 in your official entry pictures. You may use older accessories, but not new ones from Series 15 like the Shark Suit Guy's suit, Laser Mech's wings, Ballerina's skirt, Janitor's mop, Farmer's pig, etc, for example. Please note Series 1 to 14 minifigures including LEGO Movie, Simpsons Series 1 and 2, LEGO Team GB and parts are allow in this category. IMPORTANT RULE FOR CATEGORY Mega B - You must include the official minifigure for the 8x8 vignette entry which you are building for. You may include more than one minifigures from the LEGO CMFs Series but you must state clearly the official minifigure for your entry. No Series 15 minifigures or it's new accessories/parts in your official entry pictures. You may use older accessories, but not new ones from Series 15 like the Shark Suit Guy's suit, Laser Mech's wings, Ballerina's skirt, Janitor's mop, Farmer's pig, etc, for example. Please note Series 1 to 14 minifigures including LEGO Movie, Simpsons Series 1 and 2, LEGO Team GB and parts are allow in this category. No clone brands or custom parts including decals, stickers, cut outs unless it's official TLG stickers. Custom parts includes BricksArms, BrickForge, Brick Warriors, etc. There is no parts limit as long as it all fits within the vignette. Category Mega A Entries are to be posted in this topic. Category Mega B Entries are to be posted in this topic. One entry per person. An entry must include a picture (no larger than 800x600). Include the official name of that minifigure and the theme that you have done. Other minifigures may appear in the pictures. You may include up to 3 more images following the same rules. If you choose to take additional pictures, you may link to an outside gallery. Digital backgrounds are not allowed. 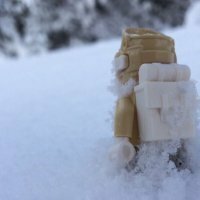 Upload your images onto those dedicated image hosting websites such as Brickshelf, Flickr, etc. Do not use Eurobricks attachment to upload your images. Entry images must be taken in a clean and decent background with enough brightness to show the beauty of your entry. If is blurred or dark, it will be considered for disqualification. The contest begins now and will end on the 10th of March, 2016 at 1200hrs (GMT+8). Voting will begin immediately after that and will last for seven days. In the event of a tie, the Staff will vote to decide the winner(s) and all Staff decisions are final. Any violation of the rules will be subject to disqualification. At the end of the entry period, a posting topic will appear listing the eligible entries for the above categories. Members who joined prior to the start of the contest will then be able to post how they wish to use their 3 points to vote for the entries they like best. A single entry may receive all 3 points, or the points may be divided between 2 or 3 entries, however the voter wishes. Detailed voting rules will be announced at the start of the voting. Members who join after the start of the competition may choose to enter but may not vote. This is to stop vote rigging. I have to participate in this contest ! Also this yells creativity. Cant wait to se all the nice vignettes that will come out of this ! Have fun building everyone. I know i will ! For category Mega B, are we allowed to use non collectible minifigures, provided our collectible minifigure is present? Yes, you may use non LEGO collectable minifigures series as part of your overall built. 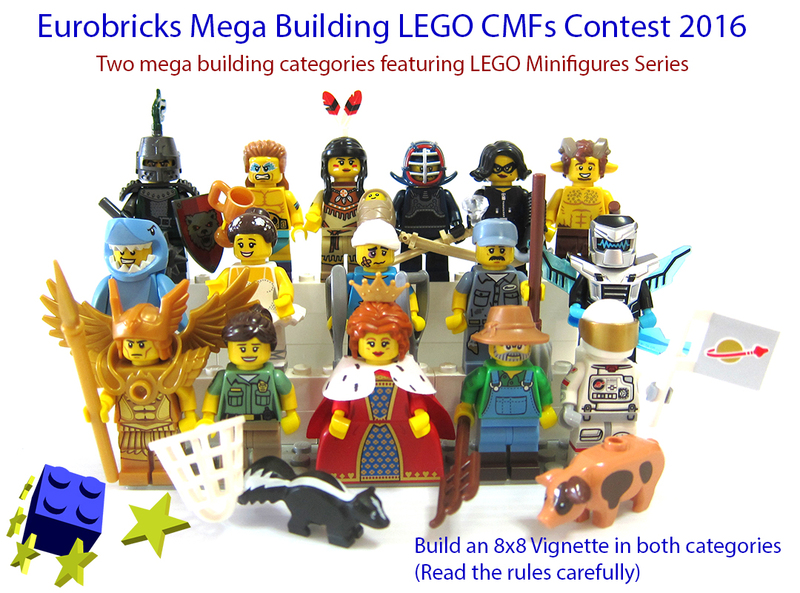 You must include and use the intended minifigures used for your entry. Please make sure you list it clearly for the minifigure used. You may use more than one LEGO Collectable minifigures series. Hope it clarifies. Thanks. It's been a while since I've made a vig for a contest, but can 8x6 of it be a normal rectangle and the rest can curve at the end? Like round steps to something. Yes, I am glad it's back after a long hiatus. It must be built on 8x8 perimeter and I do allow overhang up to a max of 2 studs. Got it, thanks! I could never participate in the old ones, I can't wait to do this one! It fit's exactly with what I've been doing last year with mine. I'm just disappointed that they are not factory sealed prizes. So if I got this right, in Cat A you can include the S15 figure in the vignette, but not and new pieces that might have come with them. Right? Those are also not allowed. It's purely bricks building contest and I meant building and taking photos of the physical bricks state. Are staff entries eligible to win? No, Category Mega A is not supposed to have or include the actual Series 15 minifigure. The entry is meant to represent the actual built of the minifigure which you intend for. Please note the entry does not allow or permit for placeholder minifigure for representation purpose. 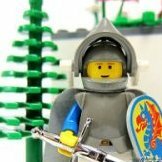 You can use minifigures for other purpose other than representing it. Unfortunately, EB staff are not supposed to win prizes and also not part of the voting. Your participation as staff is greatly appreciated if you choose to take part. If there is enough competiting entries from EB staff. I can open a separate voting category. I will donate some prizes from my own collection. I understand. Trust me, EB is planning something big in the upcoming months for this area. You won't be disappointed. I assure you. I dunno, that house contest had a lot of ginormous and over detailed winners and it didn't seem fair. Sorry. I don't quite understand what you meant. Could you please clarify. Noted on your suggestion and I will bring this to discuss with my fellow staffers for future consideration. However, please note this contest is a building contest and it means literally building it with bricks to showcase the creativity. Some contest which we organise may permit digital entries but some contest which we plan does not allow exception. I noted on the constrain for people who don't have access to bricks. This is our decision for this contest organisation and I hope you can understand. I do understand the decision. My other quote was in response to the statement that the house contest didn't seem fair. In terms of creativity, is there any real difference in creativity between a physical model with good photography, and a digital model with a good render? Especially if the digital model only used elements* that exist in real life? This sounds fun! I'll give a contest another shot. Wow, this is a brilliant contest! Can't wait to get building for it! Just one question: is it "one entry per person", or "one entry per category per person"?